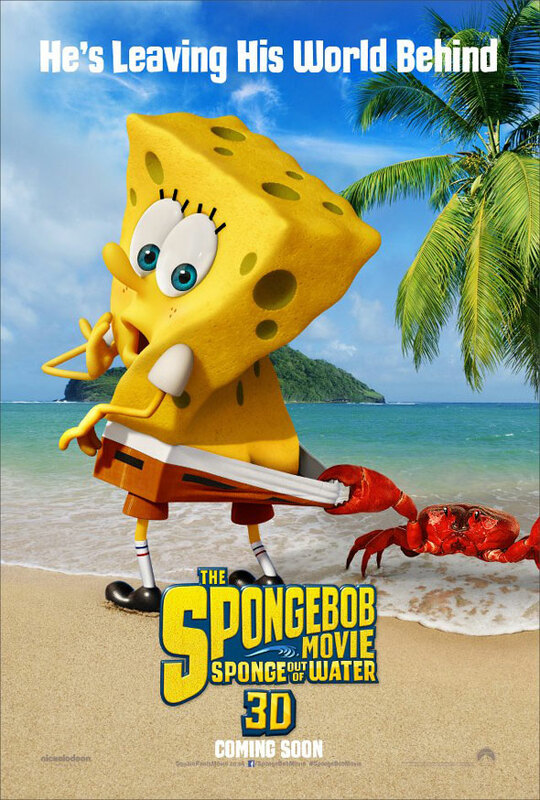 The first poster has been released for the highly anticipated second “SpongeBob Squarepants” movie. Boasting the new title of “The SpongeBob Movie: Sponge Out of Water,” the film is targeting a February 6th 2015 release. Antonio Banderas, Tom Kenny and Clancy Brown lend their voices this time around. This cinematic take on the immensely popular Nickelodeon series will be CG animated and will be helmed by the show’s creator Paul Tibbitt. The first film’s helmer Stephen Hillenburg is also back as writer and executive producer.